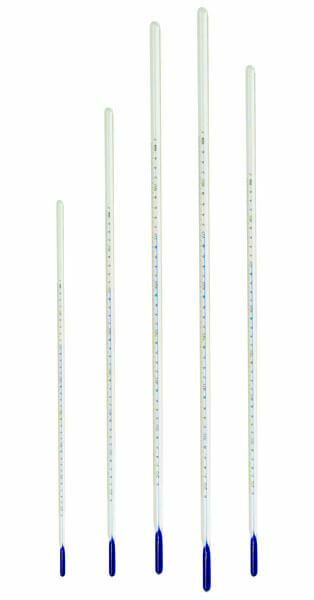 ASTM S62F to S67F Non-Mercury Thermometer Set, -36°— 311°F - Gilson Co.
ASTM S62F to S67F Non-Mercury Thermometers are easy to read and have a total measurement range from -36°—311°F with variable graduations. This high-precision, total immersion thermometer set meets standard test method requirements, but can be used for other applications within their range. Total length is 15.7in (400mm).